Carolyn Oh is the principal of Carolyn Oh and Co, a boutique law firm based in Penang, Malaysia which serves a select group of international and local clients. Her firm focuses on high value private/commercial property conveyance, family law, estate and wealth management/succession planning. Ms Oh has had significant experience in the areas of advising private families and individuals with regards to structuring, establishing, managing and monitoring their family structures and assets therein, which includes the formation of private trust companies, trust and foundation vehicles as required by such clients. She is a strong advocate of “bespoke-structures” which she feels is “key” because each individual and/or each family is different with different sets of consideration all of which should be catered for specifically. With regards to onshore practices, Ms Oh has from her earliest years in practice been a regular will writer for most of her clients and her clients’ other family members and has todate written countless of wills. Ms Oh also regularly instructs and/or represents clients in estate dispute cases. Ms Oh is regularly invited as a speaker at various conferences and seminars in the region to speak about the trends and developments in wealth management from the Malaysian perspective. 6.Registered Trust and Estate Practitioner with STEP UK. 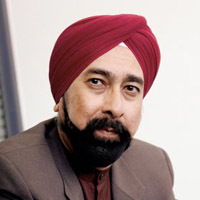 Dr Veerinderjeet Singh is the Chairman of Taxand Malaysia Sdn Bhd (which is a member of the Taxand Organisation of independent tax advisers) and a member of the Taxand Global Board. He is also the Executive Chairman of Axcelasia Inc, a holding entity incorporated in Labuan for a group of integrated professional service entities and listed on the Catalist Board of the Singapore Stock Exchange. He currently serves as the Chairman of the International Fiscal Association (Malaysia Branch) and is also an Executive Committee member of the Malaysian Institute of Certified Public Accountants (MICPA) Council, a Council Member of the Malaysian Institute of Accountants (MIA), and an Adjunct Professor at Monash University Malaysia. In addition, Dr Veerinderjeet is a member of the Chartered Tax Institute of Malaysia (CTIM) and CPA Australia; a member of the Board of Trustees of the International Bureau of Fiscal Documentation (IBFD) in Amsterdam; and a General Committee member of the Malaysian International Chamber of Commerce and Industry. He is also a member of the Focus Group on Paying Taxes for the Special Task Force to Facilitate Business (PEMUDAH), as well as a Trustee of the Malaysian Tax Research Foundation. Formerly the Vice Chair of the International Chamber of Commerce (ICC) branch in Malaysia, however remains a member of the ICC’s Commission on Taxation based in Paris. His extensive experience in tax matters makes him a natural choice as author and consultant editor for over 100 publications, among which include international tax, law and accounting journals. Moritz Gubler spent two years in China after receiving his law degree. By learning Chinese, teaching foreign languages and visiting joint-ventures, he acquired a thorough knowledge of the Chinese way of thinking and the local habits. He had worked in a law firm in Zurich and at the district court of Bülach in order to prepare himself for the bar-examinations. After getting admitted to the bar of Zurich, he had then worked with Union Bank of Switzerland in Locarno in the Italian part of Switzerland for eight months. He then returned back to Zurich where he had worked as a client counsellor and lawyer in a trust-firm of the UBS-Group. In May 1997 he went to Labuan, Malaysia, in order to open a new trust company for Coopers & Lybrand. Later, in September 2007 they were acquired by the Tricor Group, Hong Kong, and has since November 2011, he has been a partner of the Alpadis Group with its headquarters in Switzerland and providing fiduciary services. His main function is as Managing Director of Alpadis Trust (Labuan) Ltd. and generally being involved in the development of the group.